Salt Lake City, Utah; April 11, 2019: Major League Rugby today announced a revamped, expanded format for its 2020 season, with three new big market teams, a two-conference system and 101 elite matches set to give North American sports fans unprecedented access to professional rugby in MLR Season 3. Bringing the total number of MLR teams to 12, the three new teams are the New England Free Jacks; Old Glory DC, in Washington D.C.; and Atlanta’s Rugby ATL. For Season 3 the 12 teams will be divided into the Western Conference and the Eastern Conference. The Western Conference comprises Austin, Houston, Glendale, San Diego, Seattle and Utah. The Eastern Conference will feature Atlanta, Boston, Washington D.C., New Orleans, New York and Toronto. 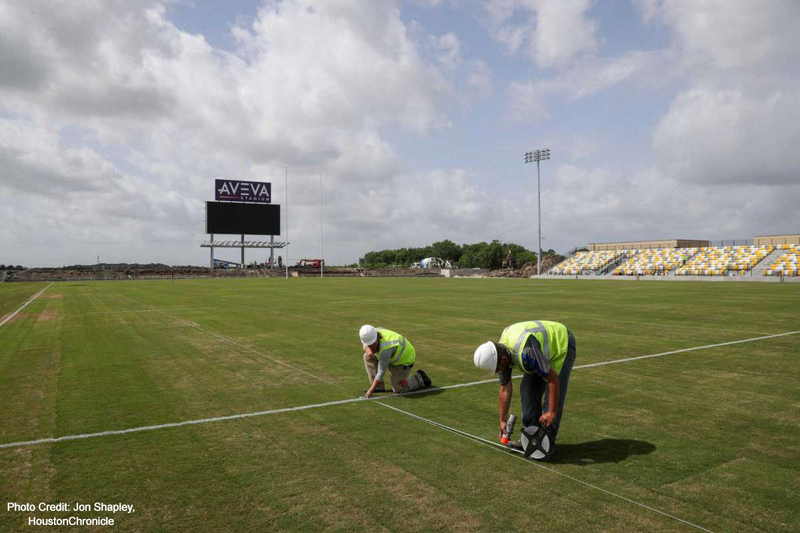 The 96-match regular season kicks off on February 15, 2020. Each team will play the other teams in their conference home and away, for a total of 10 games, plus six cross-conference games, three home and three away. Season 3 will conclude with a dramatic five-match Championship Series across three consecutive weekends from June 13, 2020. The 2nd and 3rd placed teams in each conference will face off for a place in the Conference Final, where they will play the top team in their conference. 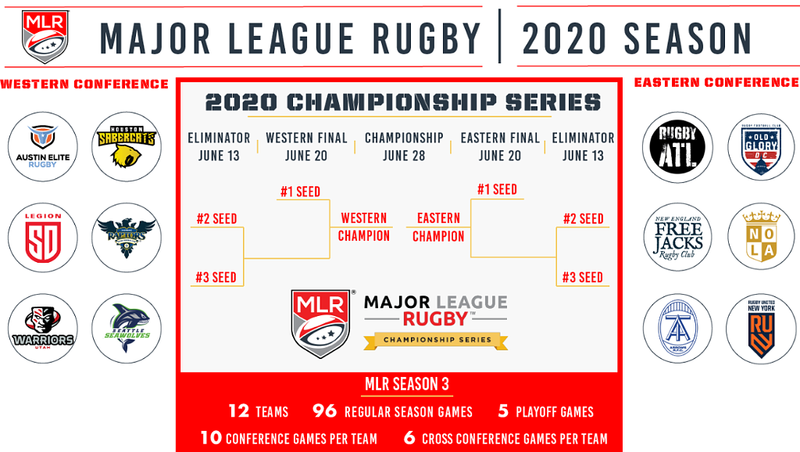 The MLR Final will then pit the Western Conference Champions against the Eastern Conference Champions in the winner-takes-all climax on June 28, 2020. Season 3 continues MLR’s relentless progress since its 2018 inauguration, growing from seven teams and 31 matches in Season 1 and nine teams and 75 matches in Season 2. North American fans are enjoying more access to domestic professional rugby than ever before this year, with 22 games broadcast nationally on CBS Sports Network and others available on ESPN+ and via teams’ regional broadcast deals. The Season 2 MLR Final will air on CBS network television. MLR is a professional rugby league launched in April of 2018. It’s an initiative of the North American rugby community, in partnership with private investors, who believe that North American rugby can thrive at the highest levels: as a commercial enterprise; as an influential player on the international scene; and as a participation sport at the youth and senior level. MLR will be the pinnacle of North American rugby, and provide a rallying point for local communities, a focal point for North American rugby fans, and an aspirational destination for young athletes. There are already over 40 internationals and players from more than 15 countries playing in the MLR. Twenty-two MLR stars represented the USA Eagles and Canada national teams in the opening round of the 2019 Americas Rugby Championship, with more than 30 called up over the course of the tournament. The teams competing in MLR Season 2 are Austin Elite, Glendale Raptors, Houston SaberCats, New Orleans Gold, San Diego Legion, Seattle Seawolves, Utah Warriors plus new additions Rugby United New York and Toronto Arrows. In 2020, New England Free Jacks, Old Glory DC and Rugby ATL will bring the total to 12 teams for MLR Season 3. Watch the 2020 League format video, here.